For Decatur, the McComm Group created a comprehensive wayfinding signage plan that, from necessity, encompasses more than simply wayfinding. 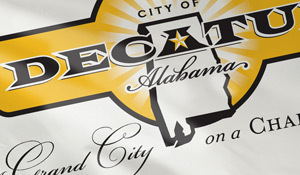 To truly rebrand the City of Decatur to citizens and visitors alike, the signage program incorporates vehicle and pedestrian wayfinding; area identifiers such as municipal buildings, parks and historic districts; primary, secondary and tertiary gateway signage; event and celebratory signage; and a bike trail wayfinding plan. 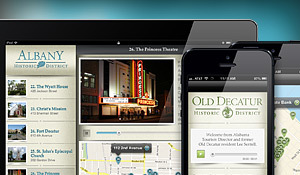 Meetings with the many stakeholders interested in Decatur’s signage project – downtown merchants, historical societies, business development groups, city leaders, and tourism specialists – encouraged input and resulted in a final design package that has wide-ranging community support. 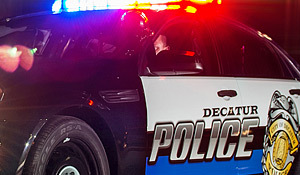 To help the City of Decatur implement the design plan, McComm sent the plans out for initial estimates on the production of the signs in the plan. Implementation of the plan is underway and is being completed in phases to allow the city to take advantage of strategic funding opportunities, including grants from multiple sources.